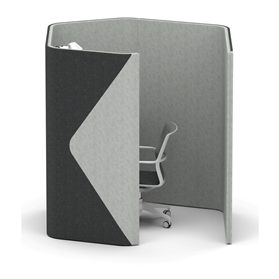 The open office has delivered many benefits; however we have recognised the need for privacy within the workplace environment. 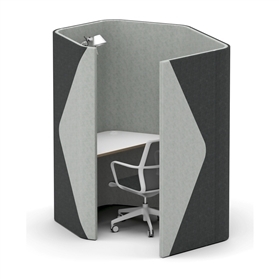 Haven Pods provide a defined space for individual focused work and spaces for team collaboration. 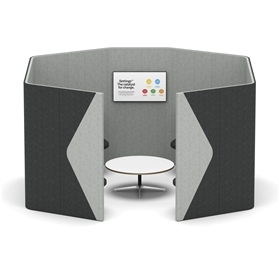 The space efficient geometric design also enhances the acoustic performance of the product. Please note if you want two tone upholstery (as in the picture, free of charge) contact us to specify which colours you would like.